President Obama has made the completion of an Israeli/Palestinian peace agreement a central goal of his foreign policy. Unfortunately, rather than making peace he has pushed the two sides even further apart. Tragically he may have squandered a remarkable opportunity to advance the cause of peace in this deeply rooted conflict. Mr. Obama inherited a policy frame-work for resolution of the conflict dating back to President Clinton’s efforts at Camp David in Summer 2000. The essential outlines of the policy were Israel’s retention of some portion of the West Bank to include areas with substantial Jewish residents and land swaps to compensate the Palestinians. President Bush formalized these principles in 2004 with agreements that Israel would begin the process of removing Jewish settlements and military posts from Gaza, limit the growth of Jewish settlements in the West Bank, and support our efforts to reform the institutions of Palestinian government including the security forces. Mr. Bush also agreed that final borders should differ from the 1949 Armistice lines. 1 The freer movement of people and goods which resulted from these agreements has been a major factor in the substantial economic growth that the West Bank has been enjoying. On assuming the Presidency Mr. Obama wisely appointed retired U.S. Marine Corps General James Jones, who had negotiated the new security arrangement, as his first National Security Advisor. However, he rejected the remainder of the previous framework and adopted a policy on final borders approaching the pre-1967 boundaries. He implied this new policy with subtle language to a foreign audience in his June 2009 speech in Cairo: “The United States does not accept the legitimacy of continued Israeli settlements. This construction violates previous agreements and undermines efforts to achieve peace. It is time for these settlements to stop.” 2 The ambiguous wording carried parallel messages. Superficially it seemed to reiterate our long-standing objection to new settlement construction. However, the language “continued Israeli settlements” rather than something like “continued settlement activity” implied that Jewish residence outside the pre- June 67 lines was unacceptable. The sequential use of “settlements”, “construction”, and “settlements” tended to obscure the true meaning of the statement. In all likelihood the Moslem audience, to whom these remarks were addressed, understood the underlying meaning. When Mr. Netanyahu, a right of center politician, became Israel’s Prime Minister, he moved towards Mr. Obama and tried to renew direct negotiations with the Palestinian Authority. Symbolically, he appointed Michael Oren as Ambassador to the United States and made Defense Minister Ehud Barak, rather than the hard-line Foreign Minister Avigor Lieberman, point man for the peace process. Both were long associated with the desire for a negotiated settlement with the Palestinian Authority. Substantively, in December 2009 Mr. Netanyahu declared a comprehensive ten month construction ban in the Jewish areas of the West Bank, a dramatic and unprecedented step for a right leaning Israeli leader. A ten month construction ban in the West Bank by a Likud led Israeli ruling coalition should have provided the opportunity to bring Israel and the Palestinian Authority back to direct comprehensive negotiations. Mr. Obama, who had pushed for the ban, could have used the enormous prestige he enjoyed early in his presidency to seize this potential Nixon in China, DeGaulle in Algeria moment and work with both sides to try to find common ground and negotiate the end of the conflict. But this was not to be. Instead Mr. Obama opened another dramatic area for Israel to concede. In March 2010 during a visit to Israel by Vice President Biden, the Jerusalem municipal authority announced the construction of new homes in a Jewish neighborhood in Jerusalem. The announcement was an intentional embarrassment to both Mr. Biden and Mr. Netanyahu who made repeated public apologies. Mr. Obama, rather than simply accepting the apology and moving on, initiated a public confrontation with Israel. His anger was legitimate. The proximity talks, with Senator Mitchell moving between the two parties sitting 30 miles apart, had just begun and such an announcement could have compromised that effort. On the other hand Mr. Netanyahu’s apology was genuine and should have been accepted. Furthermore, the proximity talks themselves represented a substantial Israeli concession given her desire for direct negotiations. Somehow neither the ten month West Bank construction freeze nor the concession of indirect negotiations seemed to matter when Secretary of State Clinton in a harsh telephone conversation told Mr. Netanyahu that the United States wanted Israel to take “specific actions” indicating that “they are committed to this relationship and to the peace process.” 3The subsequent televised public rebuke by David Axelrod was a further escalation in a diplomatic confrontation over a relatively minor incident. 4 The alternative of containing the fall out and focusing on the indirect negotiations was nowhere to be found. This stance from the President of the United States gave permission for even greater hostility from others. It was at that time that that Turkey took the provocative step of supporting the extremely dubious Turkish Humanitarian Relief Foundation (IHH) 6 in trying to run Israel’s naval blockade of Gaza. More central to the peace process was the change in policy by the Palestinian Authority which took Mr. Obama’s public policies as their own and went further by making the cessation of new construction in the West Bank and in Jerusalem preconditions to further negotiations. Likely implicit here was the belief that the new American President would deliver Israeli compliance and thus preclude the necessity of serious negotiations. Mr. Abbas had negotiated with many previous Israeli governments and had never raised these issues as preconditions for negotiations. While many have commented on Mr. Obama’s role in this change, none have done so with greater authority than has Mr. Abbas himself. Unfortunately beneath the soaring rhetoric lay the stark reality of an incoherent policy, “Israel's settlement moratorium has made a difference on the ground and improved the atmosphere for talks. And our position on this issue is well known. We believe that the moratorium should be extended.” “Now is the time for this opportunity to be seized, so that it does not slip away.” The settlement freeze had begun nearly a year earlier but Mr. Obama was only then acknowledging the opportunity that it created and urging that it be seized. He had run down the clock on the construction freeze having spent much of that time escalating a public confrontation with Israel that all but drove the Palestinian Authority to a set of preconditions that made the chance of real progress increasingly remote. More recently there was the well publicized “off-microphone” gaff between Prime Minister Sarkozy and Mr. Obama in November 2011: Mr. Sarkozy, “I cannot bear Netanyahu, he's a liar. “Mr. Obama, “You’re fed up with him, but I have to deal with him even more often than you.” 14 This candid exchange occurred almost immediately after Mr. Netanyahu announced plans to begin the removal of some of the small Jewish outposts in the West Bank. In doing so he kept a promise made but never fulfilled by his two predecessors and incurred some political cost in the process. 15 Yet Mr. Obama’s comments reflected complete indifference to this important recent development. As previously noted, the Palestinian Authority came to act as though Mr. Obama would deliver an Israeli policy to their liking so that they did not have to engage in substantive negotiations. This belief proved to be justified on one level. Last May with the Arab world in turmoil, old autocracies falling, and hope for a better future in the air, Mr. Obama announced a major policy address on the Arab Spring. About the same time Mr. Netanyahu announced a trip to Washington D.C. with the express purpose of providing new ideas to hopefully restart direct negotiations between Israel and the Palestinian Authority. Circumstances seemed hopeful for a new beginning between Mr. Obama, Mr. Netanyahu, and Mr. Abbas. But again, this was not to be. Only hours before the President’s speech Israel was informed of the new policy doctrine that Mr. Obama was about to announce. Mr. Obama’s speech of May 19, 2011 was billed as a major policy address on the Arab Spring. However, he devoted about 20% of it to the conflict between Israel and the Palestinians. This was more than to any other single topic. 16 He fundamentally altered the U.S. posture toward the conflict. The first policy concerned borders. 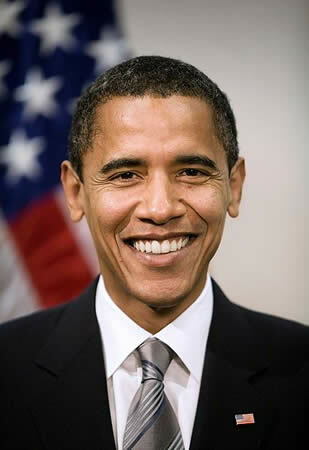 “We believe the borders of Palestine should be based on the 1967 lines with mutually agreed swaps, so that secure and recognized borders are established for both sides.” With this bold stroke Mr. Obama abandoned all previous policy from the diplomatic ambiguity of the 1967 UN Resolution 242 to Presidents Clinton’s and Bush’s recognition of demographic changes and generally defined land swaps. Beyond the obvious political difficulties this policy would create for any Israeli government, the term “1967 lines” raised national security concerns harkening back to the memories of the vulnerability that those lines posed in earlier years. Mr. Obama immediately compounded these concerns. "As	for security, every state has the right to self-defense, and Israel must be able to defend itself -– by itself -– against any threat. Provisions must also be robust enough to prevent a resurgence of terrorism, to stop the infiltration of weapons, and to provide effective border security. The full and phased withdrawal of Israeli military forces should be coordinated with the assumption of Palestinian security responsibility in a sovereign, non-militarized state. And the duration of this transition period must be agreed, and the effectiveness of security arrangements must be demonstrated." The sheer duplicity of this statement was stunning. In plain language it called for a full withdrawal of Israeli forces from the West Bank and the complete reliance on the Palestinian security forces. Yet the substance of the policy, “full and phased withdrawal of Israeli military forces” is almost hidden in the center of the paragraph preceded and followed by a string of seeming assurances to Israel’s security that tend to obscure the statement’s actual meaning. Mr. Obama’s later references to this statement as an assurance of Israel’s security compunded the cold cynicism of his words. The Palestinian Authority had not made the full reliance on their own security forces an important policy goal. In fact Mr. Abbas had openly spoken about accepting third party NATO forces as a basis of security. 17 To him the security force issue was one in which compromise seemed possible. Once again, Mr. Obama raised the bar on the Palestinian side beyond anything they had requested. "These principles provide a foundation for negotiations. Palestinians should know the territorial outlines of their state; Israelis should know that their basic security concerns will be met. I’m aware that these steps alone will not resolve the conflict, because two wrenching and emotional issues will remain: the future of Jerusalem, and the fate of Palestinian refugees. But moving forward now on the basis of territory and security provides a foundation to resolve those two issues in a way that is just and fair, and that respects the rights and aspirations of both Israelis and Palestinians." Thus Israel was to cede the final borders and agree to completely withdraw of its forces from the West Bank, i.e. give up its major bargaining chips before dealing with the contentious issues of Jerusalem and the Palestinian right of return. The fundamental notion of land for peace was abandoned. Israel was to give up land and then discuss peace. Mr. Obama, despite his articulate public support for Israel’s legitimacy as a Jewish state has denied Israel the right to its own point of view and its own policies. When Mr. Netanyahu declared a ten month settlement construction freeze on the West Bank, Mr. Obama ran the clock down and acknowledged the importance of the freeze only as it was coming to an end. When Mr. Netanyahu apologized for the public declaration of new building in Jerusalem during Vice President Biden’s visit in March 2010, Mr. Obama ignored the apology and attacked. In May 2011 when Mr. Netanyahu was coming to the United States to propose new ideas to restart direct negotiations, Mr. Obama informed him only several hours ahead of time that he was about to propose a new U.S. doctrine that neither he nor likely any other serious Israeli leader could accept. These deliberate actions amount to the kind of delegitimization that Tony Blair described so insightfully. In the days and weeks that followed the speech Mr. Obama faced a firestorm of criticism starting with the dramatic bipartisan support for Mr. Netanyahu by the U.S. Congress and culminating in the upset electoral defeat of the Democrat Party in New York’s 9 th Congressional District. "But understand this as well: America’s commitment to Israel’s security is unshakeable. Our friendship with Israel is deep a nd enduring. And so we believe that any lasting peace must acknowledge the very real security concerns that Israel faces every single day. Mr. Obama and his supporters often state that the he has raised the level of security and military cooperation between the United States and Israel to unprecedented levels. This statement is true and Mr. Obama deserves a great deal of credit. And if part of the motivation is to put Israel in a stronger position from which to make further compromises for peace, then this too is a legitimate U.S. policy goal. "Starting at the beginning of our administration, we are going to engage effectively and consistently in trying to resolve the conflicts that exist in the Middle East. So on Jan. 20, you will be hearing directly from me in my opinions on this issue. Until then, my job is to monitor the situation and put together the best possible national security team so that we hit the ground running once we are responsible for national security issues." This statement was entirely appropriate and could have ended right there. It did not. He continued, "The loss of civilian life in Gaza and in Israel is a source of deep concern to me. And after Jan. 20, I'm going to have plenty to say about the issue." 22 This comment during the Israeli campaign that was widely criticized for the alleged disproportionate use of force and excessive civilian casualties was deeply ambiguous. On the surface it seemed neutral. At a deeper level, its resonance with the general criticism directed at Israel was unmistakable. For reasons that were never made clear the Israeli campaign in Gaza, which was steadily reducing the Palestinian ability to launch rockets, ended suddenly. It was long over when Mr. Obama became the President of the United States. Mr. Obama’s policies have been neither random nor haphazard. A dramatic policy change suggested in Cairo in June 2009 became explicit in Washington D.C. in May 2011. A dramatic move by a right-of-center Israeli Prime Minister to freeze new settlement construction for ten months was blocked and acknowledged only after the time period had run out. A more recent attempt by that Prime Minister to initiate negotiations was cut off by a dramatic new policy doctrine of which he was notified only several hours in advance. These actions represent Mr. Obama’s core beliefs. Perhaps none of this makes any difference. Those who argue that the Palestinians will never accept the legitimacy of Israel as a Jewish state have copious evidence to cite. On the other hand, in June 2010 a fascinating report had Mr. Abbas publicly affirming the legitimacy of a Jewish presence in the area. When challenged by the Arab media he responded, “Jews are there, and when you read the Holy Koran you have it there. That’s what I said.” 24 Thus, the President of the Palestinian Authority began publicly going down the sort of road that might have legitimized Israel to the Palestinian people (and basing it on the Koran). We have two leaders, one Israeli and one Palestinian. Both have dedicated their lives and considerable talents to the national aspirations of their people. Yet each has seemingly tried to advance compromise positions with the other. Unfortunately, the President of the United States of America failed to seize a middle-ground where a true reconciliation might have occurred. Instead, he chose to impose his own policies which one side could not accept and the other not reject. We shall never know what might have been with different American leadership. If Mr. Obama is re-elected this November he will most likely reemphasize, final borders based on pre-1967 lines with land swaps, full Israel Defense Force withdrawal from the West Bank, and negotiation on the status of Jerusalem and the Palestinian right of return only after these Israeli concessions are complete. His laudable emphasis on Israel’s military security and legitimacy must be understood in context of this larger policy. The difference will be that he will then conduct foreign policy without ever again having to stand before the electorate. For it is the President of the United States who determines our foreign policy under the Constitution, as it has been since the days of Chief Justice John Marshall.